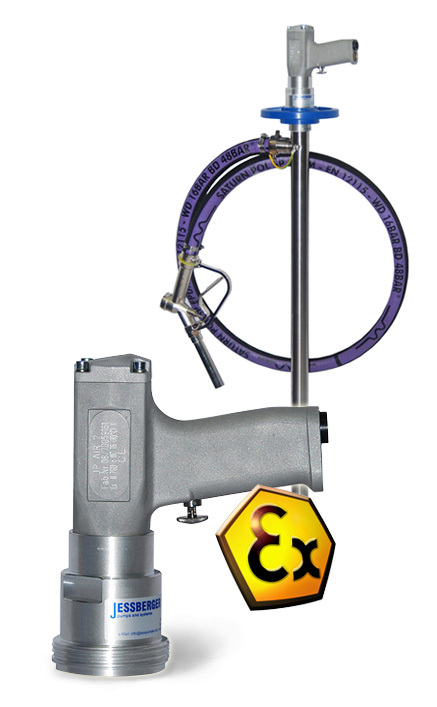 The air operated motor JP-AIR 2 is a compactly built, robust explosion-proof air operated motor in accordance with the latest explosion protection guidelines ATEX 2014/34/EC, category 2. The pneumatic motor is explosion-protected according Ex 2 GD c IIC T6 (80°C) X and has a type-certificate IBEX U05 ATEX B007 X. 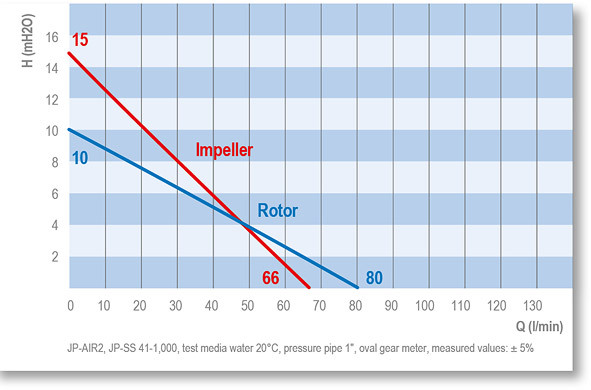 The motor JP-AIR 2 provides beside other air operated motors and the electric motor JP-400 maximum safety when pumping flammable media or for use in hazardous environments. At such applications for the drive motor and the pump tube separate approvals acc. 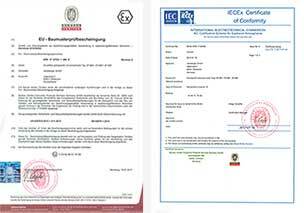 to directive ATEX 2014/34/EC are required and a potential equalization has to be installed. 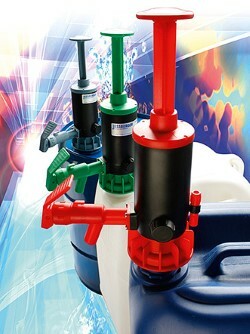 The handy and powerful device (1,5 kg) can be used as a drive for the laboratory pump tubes (not Ex-certified) or in hazardous areas for the ATEX certified sealless pump tubes made of stainless steel (Ø 41 mm), the mixing pump tubes in stainless steel, the stainless steel pump tubes with mechanical seal or complete drum emptying function and the eccentric screw pump tubes of series JP-700 SR PTFE ATEX. In combination with ATEX certified pump tubes the drive is suitable for many low-viscous, neutral, slightly aggressive media and for highly flammable media with a flash point below 55°C. Its sophisticated, technically clear structure ensures an efficient and safe use when transferring the wide range of media. The air operated motor is supplied with a silencer. At the handle is an on/off starting button that can be fixed. The maximum density of the media is for the explosion-proof air operated motor JP-AIR 2 1.5, the maximum viscosity 600 mPas. Air consumption under load 15 l/sec. 600 Watt at max. 6 bar working pressure, with silencer and on/off switch.